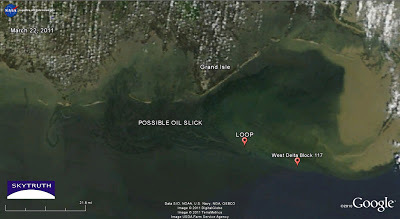 Gulf Spill – Not So Fast – Problem at LOOP? 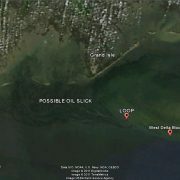 MODIS/Terra satellite image, March 22, 2011 showing possible oil slick originating near LOOP facility and carried off to the northwest. Light brown areas are sediment-laden water entering the Gulf from the Mississippi River. https://skytruth.org/wp-content/uploads/2011/03/SkyTruth_Gulf_slick_22March2011_Terra-1.jpg 747 1365 John Amos /wp-content/uploads/2016/08/test_logo.png John Amos2011-03-23 14:19:002019-02-26 10:27:18Gulf Spill - Not So Fast - Problem at LOOP? 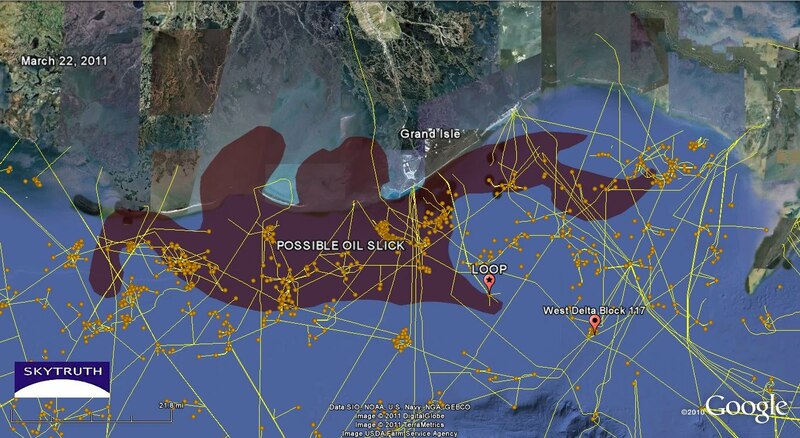 Looks like this is a good match for the spill a Houston oil company just admitted to, no? Miles – it's possible, because the currents in the area would take anything from West Delta 117 past the LOOP facility. 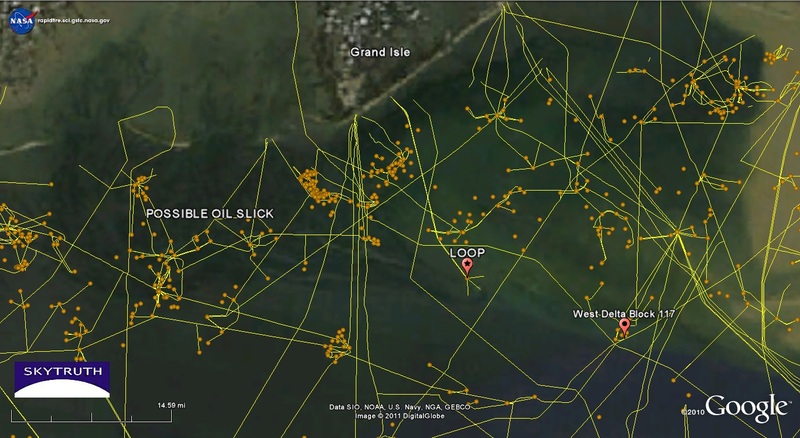 So we're still working to confirm if Anglo-Suisse is solely responsible for the oil that came ashore over the past few days, or if there might be another source as well at or near LOOP. Anglo reported only a couple of gallons in total were spilled. 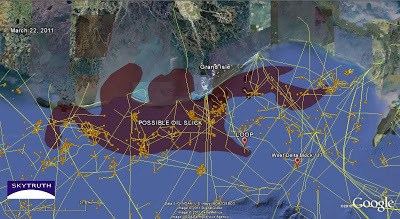 It is improbable that such a small amount could travel across more than 20 miles of ocean and oil 1/4 to 1/2 mile of beach across a 30-mile section of coastline. 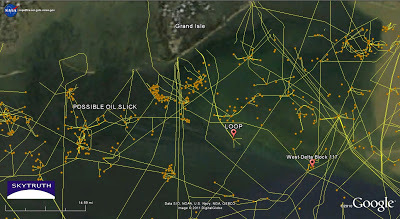 If Anglo has accurately reported their spill, there must be another source that contributed to the mess. Latest Gulf Oil Spill – Mystery Solved? 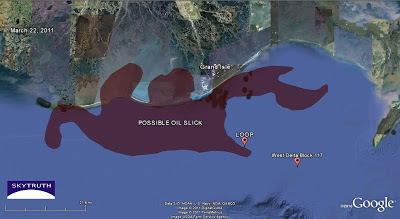 Gulf Spill – Source?